PROVO, UTAH – (August 29, 2011) – Ancestry.com, the world’s largest online family history resource, today announced an entire week of free access to its popular U.S. and International Immigration and Naturalization records. The free access week begins August 29th and runs through the Labor Day holiday ending September 5th. During this time, all visitors to Ancestry.com will be able to search for free the indices and images of new and updated U.S. immigration records as well as selected international immigration records from the United Kingdom, Ireland, Italy, Australia, Canada, Germany, Sweden and Mexico. Millions of Americans can trace their family history to other countries, and these collections provide valuable information about the travels and journeys that brought them to America or other countries around the world. Ancestry.com’s extensive collection of immigration, naturalization and travel records offer an important resource for discovering and celebrating family history. As part of this promotion, the company is adding to its collection of U.S. and international records for tracing relatives from their homeland to other countries around the world. These records include ships passenger and crew lists, declarations of intent, petitions for naturalization, witness affidavits, border crossings, certificates and other records generated by the naturalization process, which is the act and procedure of becoming a new citizen of a country. Because the process has changed significantly over time and varies from country to country, different records are available from a wide variety of state, federal and international sources. Newly added U.S. collections include Florida Petitions for Naturalization, 1913-1991; Delaware Naturalization Records, 1796-1959 and Utah Naturalization and Citizenship Records, 1850-1960. Noteworthy updated U.S. and international collections include U.S. Naturalization and Passport applications, 1795-1972; UK Incoming Passenger Lists, 1878-1960; Border Crossings: From Canada to U.S., 1895-1956; New South Wales, Australia, Unassisted Immigrant Passenger Lists, 1826-1922; Border Crossings: From Mexico to U.S., 1895-1957; New York State, Passenger and Crew Lists, 1917-1973; Atlantic Ports Passenger Lists, 1820-1873 and 1893-1959. Many families have already made important discoveries in Ancestry.com’s immigration and naturalization collection. Each of the following stories offers an example of the exciting and often emotional discoveries made by some Ancestry.com users. David A. Bader – Atlanta, GA: Bader traced his mother’s immigration from birth in Vienna, Austria, in 1934, during the Holocaust, through a KinderTransport to England (1939-1941), and eventually her immigration into the U.S. He’s also traced her parents’ journeys through concentration camps and other paths that lead to the United States, where the family came back together after their separate journeys of luck and fate. Kristine Plotinski – Romeo, MI: Plotinski recently found the ship manifest of when her grandparents and three aunts immigrated to the United States from Iraq in 1947. She shared this document with her aunts and they were deeply touched when they saw their names on the manifest. One of her aunts remarked that she had been unable to find her immigration records on a visit to Ellis Island and recounted that seeing the document from Ancestry.com brought back many memories. Her aunt very clearly remembers the day in 1947 when her ship arrived in New York. She was awed by the lights of New York and the snow and wore a pink coat made with rabbit fur, which her grandmother had made for each of Kristine’s aunts. Jackie Wells – Annapolis, MD: Although her father died of cancer, Wells was fortunate to spend considerable time with him before he passed. Many of their talks focused on his family history. He did not know much about his mother, who died from a fire when he was three, or about her background. His father remarried and supported a blended family, but did not talk about his background. Since those discussions, Wells has traced her father’s side back to the original immigrants, finding early colonial settlers of New England, a sea captain defending New York’s harbor under George Washington in 1776, early residents of the new capital Washington, hard-working mid-1800’s immigrants, Civil War soldiers, sports legends and many poignant personal stories. So far, for two of the immigrants Wells located, she has traveled to and photographed their birth villages, in Italy and in Germany. Wells’ family history research has helped her find and be welcomed by hundreds of newfound relatives who have provided many memories and a much deeper understanding her father’s family history. To start researching the immigration and naturalization records for free, please visit www.ancestry.com/immigration. I thought I’d stop what I’m doing right now to talk about an important subject: getting sidetracked. Getting sidetracked is easy to do when you’re working on your genealogy. Yesterday, after arriving in Athens for a 3-day layover, I had intended to finish my update of spending two days of genealogy research in Paris with my cousin Monique. However, I decided to do something I thought, at the time, would just take a few moments, and simply add two new research source subscriptions to look for information about my grandfather Paul de Launay: Footnote.com, and NewspaperArchive.com. Something caused me to look for something over on a site called FindaGrave.com, a regular “go to” source for me, and once again….I was sidetracked. This time it pushed me back to doing some research on my father’s side of the family. Having said all of that, it brings me to the point I wanted to make, and that was that FindAGrave.com has now become a very important site in the genealogy world. I spent several hours adding photos that I found there, to my own tree, and then spent several more hours adding half of my own maternal great-grandparents to the FindaGrave.com site. Many photos I found were high enough resolution for printing smaller photos, and many times, there was an obituary or family biography to go along with the person, which would lead me to other cousins, and more distractions. So if you haven’t checked it out visit FindaGrave.com, I highly recommend it. You’ll be surprised how many of your own ancestors are there. If you don’t believe me, then read this article about FindaGrave.com, and then get back to work. Je pensais arrêter ce que je fais en ce moment pour parler d’un sujet important: se laisser distraire. Se distraire est facile à faire lorsque vous travaillez sur votre généalogie. Hier, après son arrivée à Athènes pour une escale de 3 jours, j’avais l’intention de terminer ma mise à jour de passer deux jours de la recherche généalogique à Paris avec ma cousine Monique. Cependant, j’ai décidé de faire quelque chose que je pensais à l’époque serait quelque chose qui serait simplement de prendre quelques instants et ajouter deux nouveaux abonnements source de recherche pour trouver des informations sur mon grand-père Paul de Launay: Footnote.com, et NewspaperArchive.com. Quelque chose m’a fait chercher quelque chose de plus sur un site appelé FindaGrave.com, un habitué “aller à” la source pour moi, et encore une fois …. j’ai été mis de côté. Cette fois, il me repoussa à faire quelques recherches sur le côté de mon père de la famille. Ayant dit tout cela, il m’amène au point que je voulais faire, et c’est tout FindAGrave.com est devenu un site très important dans le monde de la généalogie.J’ai passé plusieurs heures à ajouter des photos que j’ai trouvé là, à mon propre arbre, puis a passé plusieurs heures plus ajouter la moitié de mes propres grands-parents maternels sur le site FindaGrave.com. De nombreuses photos que j’ai trouvé étaient à haute résolution permet d’imprimer des photos plus petites, et de nombreuses fois, il y avait une biographie nécrologique ou en famille pour aller avec la personne, qui me conduirait à d’autres cousins, et plus de distractions. Donc, si vous ne l’avez pas vérifié visite FindaGrave.com, je le recommande fortement. Vous serez surpris de savoir combien de vos propres ancêtres sont là. 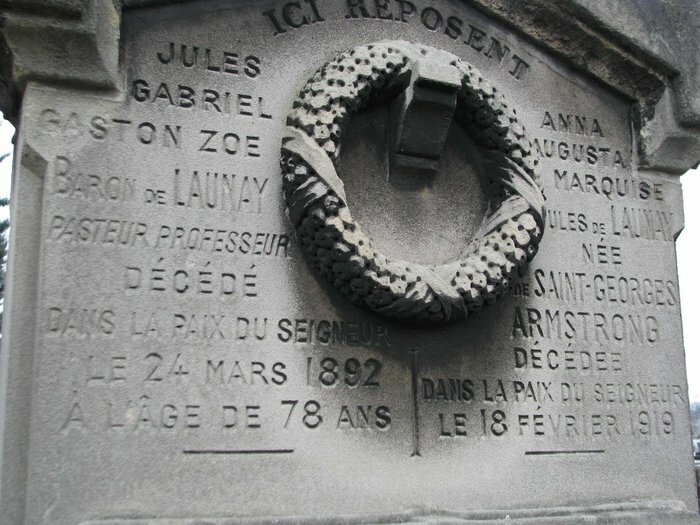 Sivous ne me croyez pas, puis lisez cet article sur FindaGrave.com, puis se remettre au travail.